This is, by far, the most embarrassing page I've ever had to write. You see, I failed to take my own advice. 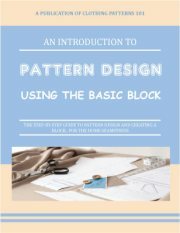 I've written over and over about the importance of fit when creating a block pattern. 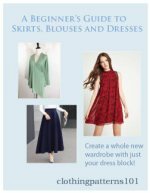 Fit, in fact, is the reason you draft a block - once you have a perfectly fitted block pattern, all of your normal alterations are taken care of. You'll have a sleeve of the correct length, a bust dart that fits your figure - you won't have to keep shortening sleeves on everything you ever make. That is, IF you go through the fit process thoroughly and correctly. I didn't. A couple of years ago, I drafted a new dress block. From that, I made a blouse block, from which I made a blouse. I mean, I THOUGHT it fit (or at least, it fit well enough) - so I just stopped working on it and thought it would be OK.
Until I made a blouse. And almost never wore it. Because I knew it didn't really look good. So - this video explains what happened, and what I had to do to fix it.